Performance Length: 2 x 1 hour sets of Irish songs and tunes in a three hour period. 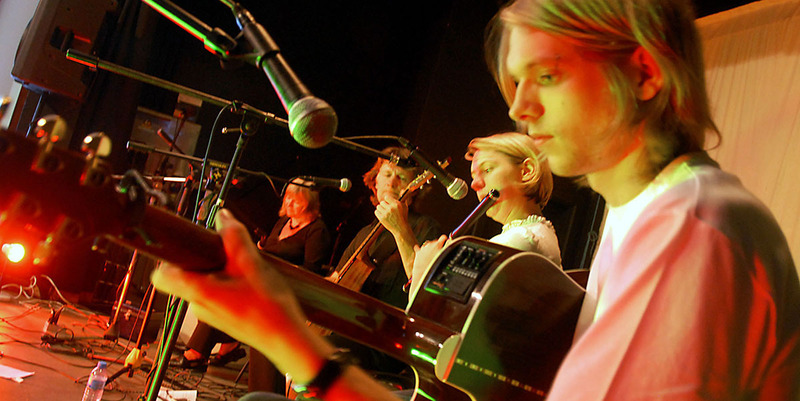 Blackthorn is one of the most exciting four piece Irish ceili bands in the South East. The band has been playing weddings, parties,and festivals since 1995. The band performs all of your favourite Irish songs, jigs and reels with talent and passion. The band includes a dance caller and can include organised ceili dancing if required. "Driving jigs and reels, well-known Irish songs and ceili dancing." All band members are multi-instrumentalists and the band creates a rich tapestry of sound to accompany the songs. Flute, fiddle and whistle melodies, backed by guitar concertina and bouzouki form the core of the sound, with female vocals from Mannie and male vocals from Pete. Look forward to hearing all the well known Irish songs beautifully arranged. Versatile Mannie is also a dance caller, so the band can mix Irish ceili dances such as “The Siege of Ennis” with the songs and tunes, if you wish. The group regularly performs on the folk festival circuit, so you can expect a performance of concert quality. The band is the perfect choice for an Irish event! Just to say a big “Thank you” for playing at my party on the 22nd July 2017. Everybody thought you were great and you were. My party was full of love and friendship, dancing and fun!! Can’t believe I’m 80! Thank you to you and the band for a great night – everybody seemed to enjoy themselves.